The fact that boats don't instantly stop when you get out seems reasonable. The boats don't go on their own. They either continue moving and slowly come to a stop, or you are pushing them when you're getting out. That isn't what is happening with the Minecraft Boats; except, when the Boat is at a Full Stop. When I am Exploring and/or Mapping Shorelines, I often (but not always) stop to Harvest Sugarcane. Thus, while Exploring/Mapping Shorelines by Boat, I often "Abandon Ship" while the Boat is moving Forward. Regardless if the Boat is moving Very Fast; or, moving Very Slowly; or, moving at a Moderate Speed, the "Abandon Ship" Movement by my Avatar alters the Speed & Direction of the Boat that is inconsistent with Real Life Velocity & Trajectory Mechanics. Thus, regardless of the Speed that the Boat is moving slowly, after the "Abandon Ship" Movement, the Boat may, or may not, change Direction; and, the Boat may Increase Speed, or may Decrease Speed, or may Maintain Speed. If the Boat is moving Forward; and, my Avatar performs an "Abandon Ship" Movement to the Right Side of the Boat...?How is it that the Boat is now going in the Opposite Direction (going away from my Avatar's Back and towards my Avatar's Right) at a Faster Speed after the "Abandon Ship" Movement by my Avatar? That is inconsistent with your Logic Argument. If the Boat is moving Forward; and, my Avatar performs an "Abandon Ship" Movement to the Right Side of the Boat...?How is it that the Boat is now going in the Opposite Direction at a Faster Speed after the "Abandon Ship" Movement by my Avatar? That is inconsistent with your Logic Argument. Sounds like a bug to me. Boat shouldn't break. This is a game and there is zero fun in being stuck in the middle of the ocean with no boat. The way boats are in this game makes them completely useless and prevent most people of doing an island themed base. This must be fixed in the next patch. Minecraft Boats aren't Solid Wooden Boats. Minecraft Boats are made from Wood Planks. Think of the Ocean Sailing Ships of the 1400s thru 1700s like the ones Christopher Columbus was using when he discovered The Americas. A Solid Wooden Boat would be a Dugout Canoe, like the one in the picture with the Woman and Large Lilly Pads. Boat Breakage resulting in Woods Planks and Wood Sticks does make sense; because, when something breaks, some of the materials from the broken object are no longer usable. Snap-Together Items like LEGO Blocks would be exception; however, even LEGO Blocks can be damaged and rendered unusable. Again...Vanilla Minecraft Boats aren't Solid Wooden Boats. Now, if you are playing with a Minecraft Mod in which Boats can be made from a single Large Log Piece; then, such a Boat would be a Solid Wooden Boat. However, I suspect that most Minecraft Players don't use such Mods. Thus, complaints about Solid Wooden Boats breaking into pieces should be directed at the Mod Creator; and, not at the Minecraft Creators. Even so, a Solid Wooden Boat can be broken; and, some of the Construction Materials would be lost as the result of Breakage. Support. 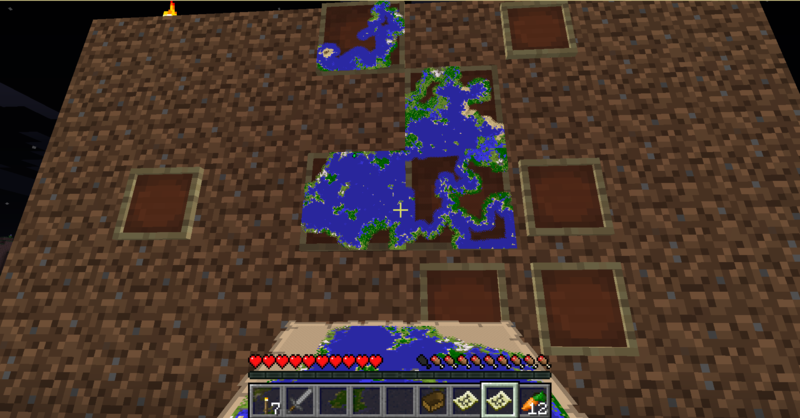 Mojang needs to fix their boats and its mechanics as getting stuck in the middle of the ocean with no land is not fun. I never had a Boat break while Land was nowhere in sight; and, Shallow Water was nowhere in sight; unless, I hit a Squid. Squids and Land-Based Mobs should get damaged from Boat Collisions. It is stupid that hitting a Skeleton with a Boat going at Max Speed results in Boat Breakage; but, the Skeleton remains alive. Of course, the Boat may have been more damaged than the Skeleton; thus, the Boat Breaks while the Skeleton doesn't break. I think in a recent Game Session, a Skeleton reconstituted itself after Breaking Apart from a 6 Block Fall as the result of a Stone Sword Hit. 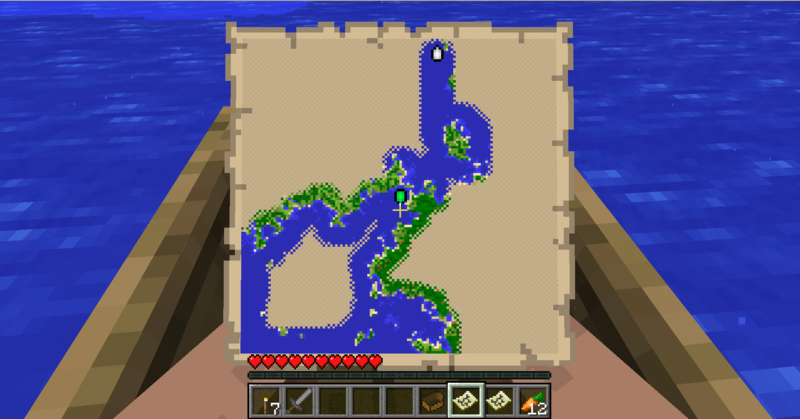 So I'm doing some mapping, I'm sailing to the corner of a large map, it's all open water. I get to the corner to turn around and head back when suddenly my boat explodes. I'm in open ocean, there's no lily pads, no squid, nothing to collide with, my boat just exploded for no reason a hundred meters out. So I swim the rest of the way back, and there on the shore are the pieces of my boat. The game just decided to fast-forward the lifespan of my boat and leave me stranded in the ocean. This happened to me too, and I agree its annoying, however I think its a glitch and I think it got fixed. The Boat Breakage is from Sharp Turns At High Speed; or, just from Sharp Turns alone. A Pole with a Leash that attaches to Boats. No different from Leashing a Horse to a Pole in Minecraft. I have done that in one of my Game Worlds. ?Have you ever owned a Small Boat (12 Feet long), or ridden in a Small Boat (12 Feet long), in Real Life? Going at a High Speed, then making a Sudden Sharp Turn, will result in you and/or passangers being thrown overboard; and/or, the Real Life Boat overturning. "Minecraft =/= Real Life" is no excuse for improper Boat Handling Practices in a Minecraft Game World. I have already Posted a Suggestion for a Decked Boat; and, an Armored Boat. My Decked Boat concept is basically a Small Boat with a Storage Chest and a Torch/Jack-O/Lantern Mount. My Armored Boat Concept is basically a Small Boat, or a Decked Boat, with Boat Armor; in the same theme as, a Horse with Horse Armor in Minecraft. Boat Armor would be Craftable; and, different Crafting Materials would render different Boat Protection Bonuses. Boat Armor Materials: Wood (Wood Planks and/or Logs; but, not combined together); Stone (Stone Slabs); Stone Brick (Stone Brick Slabs); Iron (Iron Blocks); Gold (Gold Blocks); Diamond (Diamond Blocks); Cow Hide. EXAMPLE: Stone & Stone Brick Boat Armor would be resistant to Lava Heat Damage and Fire Attacks. Wood Boat Armor is basically a 2nd Boat Hull. Cow Hide Boat Armor would decrease Collision Damage Values and Mob Attack Values to the Boat in a Percentage Rating Format. Iron Boat Armor would be resistant to Wood Attacks and Mob Collisions and Mob Physical Attacks and Shoreline Collisions with Dirt & Sand & Gravel & Clay; but, not resistant to Shoreline Collisions with Stone. Gold Boat Armor is like Iron Boat Armor but with Weaker Resistant Values & Lower Durability Values than Iron Boat Armor. Diamond Boat Armor would be resistant to Magic & Potion Attacks. Essentially, the Boat Armor takes Damage and gets destroyed before the Small Boat or Decked Boat takes Damage and gets Destroyed. Thus, the Armored Boat has a Longer Duration than the Basic Boat or Decked Boat. Also, once the Boat Armor is Destroyed, the Player can create more Boat Armor and convert the Small Boat to an Armored Small Boat; or, the Decked Boat into an Armored Decked Boat. Thus, a single Small Boat, or single Decked Boat, can last forever. If fixing boat breaking on lily pads is too time consuming / difficult they should just remove it. Sometimes as a developer it's important to assess the time it would take to fix a feature correctly and the worth it provides when fixed. It would take about ten to thirty minutes to remove boat breaking and depending on how it's coded a day to several weeks to correct it. If boats didn't break super easy and player desync wasn't such a problem, people would build more around water and use rivers as transportation (at least I know I would). I think this would add to the game, not detract. Removing boat breaking instead of trying to fix it means they could focus on something else even better with the extra time - like new mobs or blocks or bosses or any other cool idea in this forum. 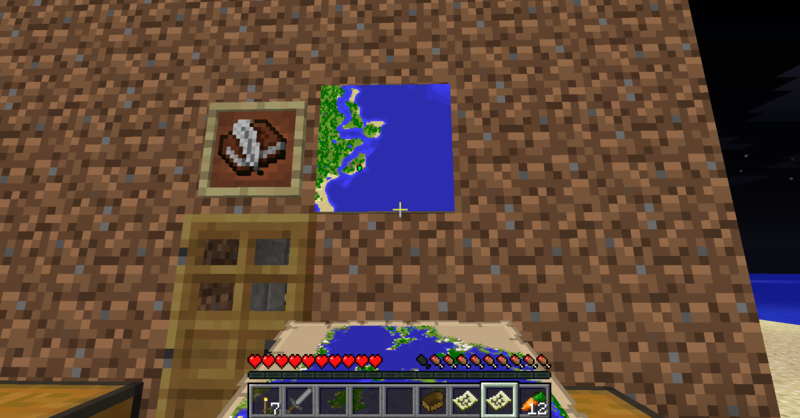 Also with the new enchantments from 1.8, boats are even less valuable. Making them not break would add back some of their worth. 1st, there is a mod called "toughboats" that fixes these issues. It is tiny (2k? ), makes boats unbreakable, and also does a periodic user position resync every "X" seconds (default is 60 I think). 2nd Support the parent poster (and agree if boats were tougher now and someone suggested making them fragile everyone would be opposed). 4th. on the boat speed, they move about "steve" sprinting speed. 5th. They explode even when you drift in to shore -- if they must explode, make it happen when the boat is at a sizable percentage of max speed. a) a boat like now. a redstone upgraded boat that keeps moving in the same direction without needing a key to be pressed continuously. c) an iron and redstone upgraded boat that is tougher and keeps moving in the same direction without needing constant pressing. - I believe that the current Minecraft Basic Boat Durability Rating is based on Adding all of the Components' Durability Ratings together. Thus, the Basic Boat has a Durability Rating = 5 Logs. - The Basic Boat Durability Rating tends to be less than any of the Mobile's Life Points. This means that Basic Boats are easier to break than Mobiles are easy to kill. - There are two calculation methods that the Minecraft Creators could use to improve the Basic Boat's Durability Score. These two methods could be used together; or, the Minecraft Creators can choose to use only 1 of the 2 Methods described. - Method 1: Increase the Basic Boat's Durability Score by adding an Additional Durability Rating Value. EXAMPLE: Basic Boat Durability = 5 Logs + Boat Structure Value. - Method 2: Reduce the Damage Calculation Values to the Basic Boat from High Speed Movement; and, Sharp Turns; and, Collisions; and, other Factors that can cause the Basic Boat to Break. EXAMPLE: Stone Sword Attack Damage is reduced to 50% of Current Damage Values that the Basic Boat receives. - It seems to me that Basic Boats are grouped into one Set Of Coding Sequences & Functions & Classes; and, Mobiles & Lilly Pads are grouped into another Set Of Coding Sequences & Functions & Classes; and, Terrain Blocks are grouped into another Set Of Coding Sequences & Functions & Classes; and, Boat Movement is grouped into another Set Of Coding Sequences & Functions & Classes; and, Boat Damage Calculations are grouped into another Set Of Coding Sequences & Functions & Classes; and, Mobile Damage Calculations are grouped into another Set Of Coding Sequences & Functions & Classes. This means that based on what I believe are the Core Calculation Coding Sequences & Functions & Classes for the Minecraft Game System would inherently render the Basic Boat weaker than any In-Game Mobile & Armor. It is possible that the Current Basic Boat Damage Calculation System is already using values like "0.00001" or "0.0000000001"; and, trying to modify those values to even smaller values is ridiculously difficult. The Real Problem in the Boat Damage Calculation System is with the Water Blocks. Their Statistical Values are what make Mobiles move much slower in Water than on Land. However, Small Boats should be Resistant, or Immune, to those Statistics that affect Mobiles' Water Movement. However, Small Boats move as easily in Water as Mobiles move easily on Land; and, Small Boats move more difficultly on Land than Mobiles move difficulty in Water; thus, Minecraft may already have such a Calculation Feature mentioned in the previous paragraph. Mobiles don't receive Damage for Movement In Water; while, Small Boats do receive Damage for Movement In Water. Land Mobiles (some) Drown in Deep Water. Water Mobiles "Drown" on Land. "Drowning" shouldn't be a Factor in Damaging a Basic Boat. I too would prefer it if boats didn't break so easily. I've run into the lag/desyncing problem, finding myself dropped in a lake or deep ocean because my boat ran into a deviant lilypad/squid. If boats must break -- and I don't mind them breaking within reason -- a damage meter would be very helpful. It could take different degrees of damage depending on what it collides with. Obviously running into stone/other blast-resistant blocks would be the most damaging. Resync is The Major Issue with Small Boats. Without the Resync being out of Sync, the other Small Boat Issues like being too Fragile wouldn't be such a Major Complaint. I said in a Recent Posting, that my Avatar can outrun the "Speedy Gonzalezes" (Zombie Kids). However, my Basic Boat can outswim the "Speedy Gonzalezes"; which, can outswim my Avatar. I didn't know how to get my Avatar to Sprint since Version 1.5.2; and, only learned how to Sprint my Avatar about a month or two ago. Even so, I don't use the Sprint feature often. I pretty much ignore it. Also, I pretty much don't use Armor either; because, I generally don't have enough materials to do Armor and other Crafting Projects. Your Small Boat was already Heavily Damaged; and, you were probably experiencing Boat Handling Lag before "Abandoning Ship". The Boat Handling Lag is the In-Game Warning System that your Small Boat is about to Crack-Up. ooo...Double-Click Forward and the Boat will Automatically Maintain Speed and Direction. An interesting Idea. 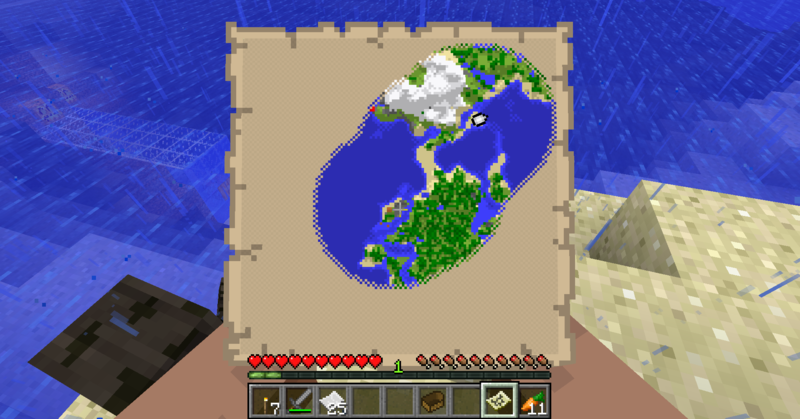 I do alot of Oceanic Shoreline Navigation & Exploration & Mapping in my Minecraft Worlds. Thus, I spend alot of time looking to my Small Boat's Broadside as it moves forward. Having the Small Boat going at Constant Forward Speed without Holding Down A Key isn't always a good thing for me; although, sometimes it would be a good thing for me. It is interesting...I am experiencing more Small Boat Break Ups in the latest versions of Minecraft than what I had experienced in Version 1.5.2 & Demo 1.5.2 & Demo 1.6.2 & Version 1.7.2; although, back in Version & Demo 1.5.2, I didn't know about the Small Boat Break Up Feature; thus, wasn't careful about my Minecraft Boat Handling Practices; and, now, I am even more careful about my Minecraft Boat Handling Practices than I was in Version 1.7.2. I and other players had "new" boats break up many many times when approaching the shore gently. We had a big ocean and would build a boat, cruise across the ocean, slow down and dismount from the boat approaching the opposite shore and they would blow up regularly. It was ridiculous. I hope you believe me when I say that lag wasn't the issue. There was no visible lag and I must have wasted a couple dozen new boats trying to figure out how to consistently land safely. I finally built artificial water humps that flowed away from shore and then we got toughboats and it wasn't a problem any more. A boat's average speed is : 22.2 km/hour. (with a "running start"). Sprinting is faster than a boat without a running start. Walking, at 15.5 km/hour, is slower but "comparable" to a boat. Once you have food, sprinting is a no brainer for travelling flats and roads. Thinking about it, I have noticed that my Small Boats are Breaking Up more frequently than in Versions 1.5.2 & 1.6.2 & 1.7.2; and, currently, I am being more meticulous about how I am handling my Small Boats than I was in Versions 1.5.2 & 1.6.2. I experience Lag with my Small Boats when they are about to Break Up; while, I don't experience Lag while moving about on the Ground. Thus, I am getting an Excessive Amount of In-Game Boat Handling Lag; which, typically results in my Small Boats breaking up while I am moving along the Shorelines. 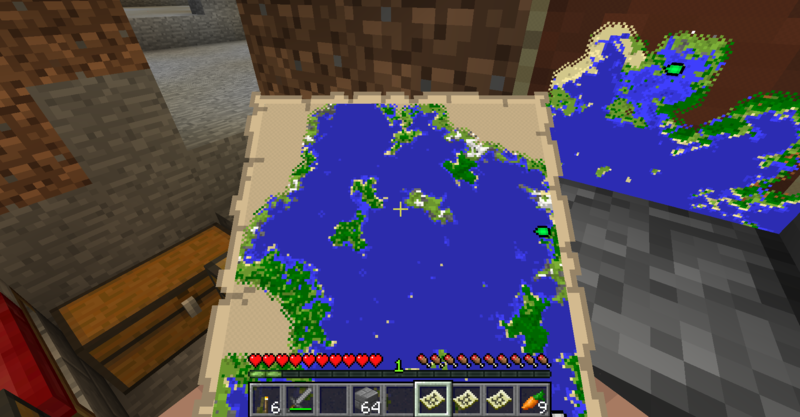 I don't do a lot of Cross-The-Ocean Boat Trips between my Base Sites in Minecraft; thus, my Small Boats rarely Break Up in Open Ocean Water; even, in those Game Worlds where I have a number of Base Sites scattered across an Ocean like in my "Isthmus Home Base" Game World where "The Western Ocean" Shoreline is completely mapped and "The Eastern Ocean" Shoreline is only mapped near my Isthmus Home Base Site and my Underwater Observatory Site. I need to make a Screen Shot of that. The Maps aren't properly aligned with each other; but, one still gets the general idea of what The Western Ocean Shorelines look like. The Underwater Observatory can be seen and located in relation to my Home Base Site; which, isn't highlighted on the Map. The Swamp Base is in a Swamp that borders the Southern Shoreline of The Western Ocean; and, is nearly Beeline South of my Home Base. The Southwestern Base is in an Oceanic Body Of Water that is Southwest of The Western Ocean; and connected to The Western Ocean by a narrow strip of Water Blocks. My Home Base is located on an Island in The Western Ocean next to the Isthmus. Thus, my Avatar Swims in the River; or, my Avatar runs along the River Shorelines; or, my Avatar alternates between the two depending on the River Shoreline Terrain and Monster Presence. Check out my youtube series! Please click or they will die! "Minecraft" is no excuse for improper Boat Handling Practices in a Minecraft Game World. Actually, that isn't the case. I own a canoe, which I paddle on lakes and rivers on a regular basis. I've owned and/or used canoes, kayaks, and rowboats of various sizes, and even briefly piloted a DUKW (which, admittedly, couldn't go at high speed if it tried). I've run low-end whitewater (class II) in a canoe. I've observed many other boats, including human-powered, sailing, and motor-propelled, made of materials ranging from birchbark to high-strength modern composites, under conditions from calm ponds to whitewater, oceans, etc. And one thing I have noticed about all of them: none of these real-life boats are as fragile as Minecraft boats. In fact, children's pool toys are not as fragile as our "boats". If you make a sudden sharp turn at high speed in a real boat ... you stay in it. There is a reason why out lakes are not littered with people who were dumped out of their boats, and that reason is that people rarely fall out of boats -- you have to put some work into it. (mind you, people do manage this, and sometimes even drown themselves in the process, but as a percentage of boaters, they're a very small minority) There are two further reasons why the idea that the Minecraft "exploding boat" is equivalent to falling out of a boat is faulty. One, these are not motorboats; they're essentially canoes. They can't go any faster than you can paddle them. So they're not making sharp turns (or any other kind of turn) at high speed, because they can't reach high speeds. There are ways to damage a canoe, and I've even done a few of them, but turning too hard isn't one of them. Two, you can leap out of a boat in Minecraft. People do it all the time. When you do so, you're swimming in the water, and the boat is floating around somewhere near you. Therefore, going from the boat to the water does not make the boat disintegrate. Since jumping out does not make a boat disintegrate, why does falling out? Consider the classic birchbark canoe. Some people still make them, by the way, just to keep the tradition alive. Far from exploding when it touches a lilypad (or turns sharply), a birchbark canoe is routinely dragged up on shore when not in use. And that is perhaps the frailest of our historical models. Minecraft boats are more like wood-and-canvas canoes, which you can (and I have) run over submerged beaver dams and whatnot, or perhaps wooden rowboats, which people crash into rocks on a regular basis. For that matter, the raft I built out of firewood when camping at about age 7, while it had some serious flotation issues, still didn't disintegrate when it touched the shore. (given the flotation issues, or more accurately lack-of-flotation issues, it did that a lot) Again, even a child's pool toy is more durable than a Minecraft boat. There are two basic factors that can be used to justify a given mechanic in a game: 1, it is realistic, or 2, it makes the game more fun. Minecraft's exploding boats are in no way realistic; even an inflatable toy is more durable than they are, not to mention a firewood raft built by a 7-year-old. And their habit of coming apart is merely annoying, not challenging. This leaves us with no good reason for this behavior except "that's the way it's always been."